- Tilting angle : 0 degree to 360 degree. 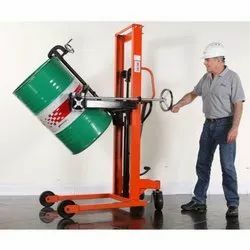 We provide Drum Barrel Racks. Dimensions : 110 mm L x 75mm W x 150 mm Ht. Poly-Racker forms the base and the stacker allows multiple rows for storage and dispensing. Banking on our enriched industry experience, we are able to supply Double Barrel Rack. 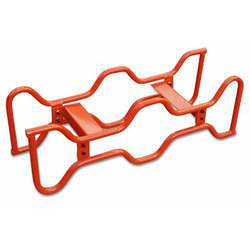 We bring forward vast industrial experience and expertise in this domain, instrumental in offering Drum Storage Racks. The presented array is designed and crafted at our up-to-date production unit and is offered at affordable rates. We are a top-notch organization, engaged in providing Double Barrel Rack. Our reputed entity is engaged in supplying Double Barrel Rack.